Since 1977 we have been welcoming customers to our fields, and we are proud to be specialists in providing exceptional and complete “pick your own” service. 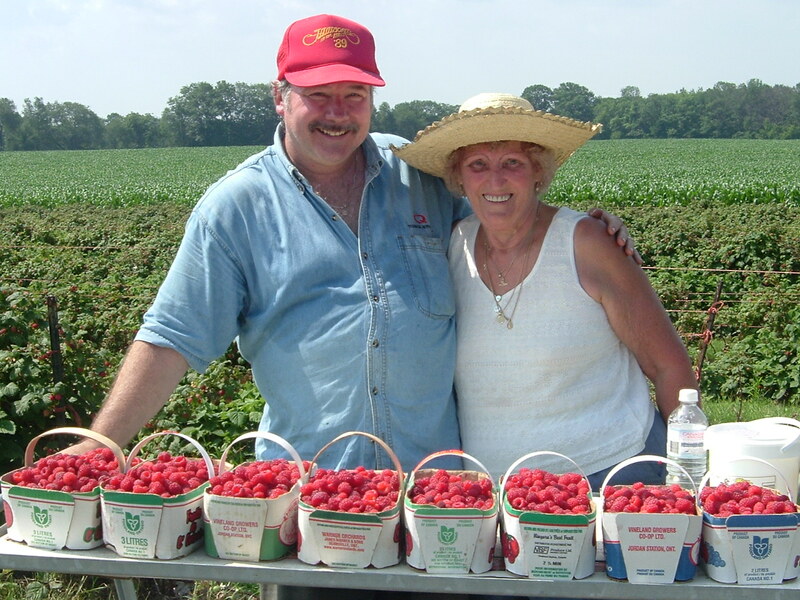 Giving our customers the best picking conditions possible is always our goal. In an attempt to keep the prices of our fruits and vegetables at affordable levels, and due to large increases in fuel and labour costs, we are introducing “pre-paid picking” this season. $5 per person – all customers age 6-96 who wish to take a wagon ride and enter the Pick Your Own fields. Fee will be deducted from any “Pick Your Own” product purchased on the day of your visit. For example: A family of 2 would pay a $10.00 fee to go out and pick. (2 x $5.00). If they pick $25.00 dollars worth of pick your own strawberries and peas, at checkout they would only need to pay the remaining $15.00. Pre-Picking fee can only be used against Pick Your Own purchases and not market items. Fruit and veggies must be purchased before being consumed. 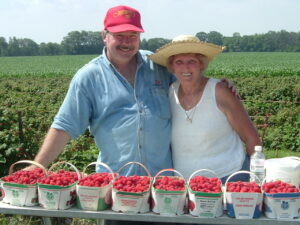 We don’t mind you tasting a berry or two – that’s part of the joy of picking your own!! However if everyone just came for lunch, we would not have a crop to sell. Think of this policy much as you would shopping in a grocery store, eating unpaid produce would be considered stealing. Children are always welcome in our fields (after all they’re the next generation of berry pickers! ), but the same rules apply. They must each have a helper container and understand our no lunching policy. Bring your own containers, or else we have containers for sale at the farm. Open rain or shine! However, the fields are closed in the event of lightning or severe weather in the area.